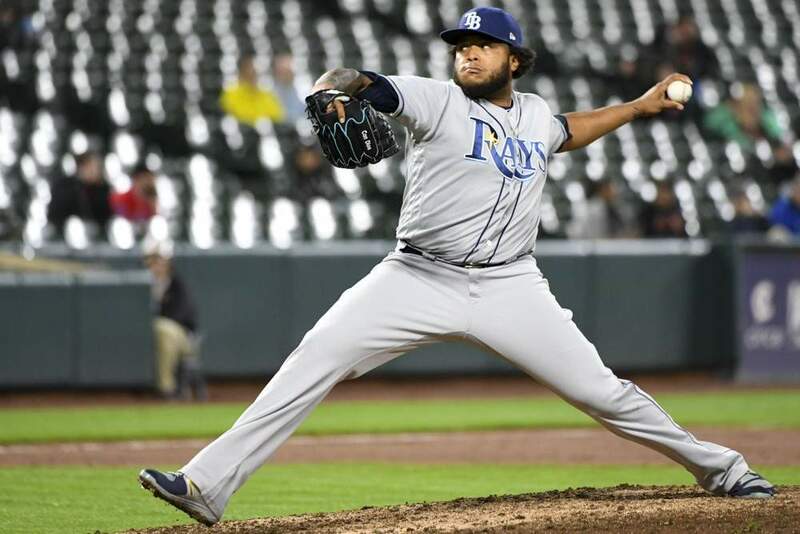 If you’ve been follwoing me here at Fantrax or even back when I was at RotoExperts, you know that I am a big believer in using middle relievers in leagues of all sizes. Here are 7 reasons I think they offer big value in 2019 mixed leagues. So it should come as no surprise that my 2019 AL-Only Relief Pitcher Rankings feature quite a few relievers who don’t figure to get many saves. I’ve got relievers projected to get two saves ahead of some I project to get 26 saves. Yes, their other numbers are that elite. Since I wrote the article linked above several people have reached out to me with their doubts about placing so much value on pitchers who would seemingly have such little effect on the standard 5X5 scoring categories. Don’t believe me? Fine. Believe the math. Head on over to the Fangraphs Auction Calculator or you can try the version over at Thomas George Fantasy Baseball. Run a set of dollar values for a 12-team mixed league using the final stats from 2018. There are differences in the values, but with each of these you come up with 20 or more pitchers who were ‘just’ middle relievers heading into the 2018 season. A few of them moved into a closer role at some point in 2018, but most of them had fewer than 10 saves. The relievers valued that highly are flat out good, but it’s also got a lot to do with the current state of starting pitching. Those examples are for mixed leagues. Now take that to an AL-Only league where, after a very strong top tier or two, the pickings get slim real quick. I’ll make it real clear for you. If you’re not using middle relievers as an important part of your AL-Only fantasy teams in 2019, you’re going to have a very hard time finishing in the money. My AL-Only relief pitcher rankings are strictly based on the projections accompanying each pitcher below. One oddity you will probably notice right away is the lack of a Boston closer in these rankings. At some point I may have to add Ryan Brasier to the list, but right now I refuse to believe the defending world champs will trust their ninth innings to a 31-year-old, who prior to 34 games last season, had not appeared in the Major Leagues since 2013. They will sign or trade for a more established option. I suspect Craig Kimbrel eventually returns, but they can’t trust their late innings to the relief corps currently in place… can they? Tampa Bay is another team that has me in a quandary. I have Jose Alvarado projected for 28 saves. He’s a fine pitcher and very capable. Why do I not trust the Rays to make this easy? It’s a situation I will be watching closely as Spring Training progresses. One pitcher I’d like to rank higher is Kelvin Herrera. He’s been pretty dominant for much of his career, but his health has me pretty concerned. If things are looking up this spring I would have no problem bumping him up near the top 5. I don’t think much more analysis is needed here. I have projected closers like Shane Greene, Blake Parker, Anthony Swarzak, and Wily Peralta ranked pretty low. For me the trust factor is just not that high. With the exception of Joe Jimenez in Detroit, I’m not sure there are great alternatives, but I’ll be looking to see how these bullpens shake out as the season gets underway. There may be a future closer hiding somewhere in these bullpens.